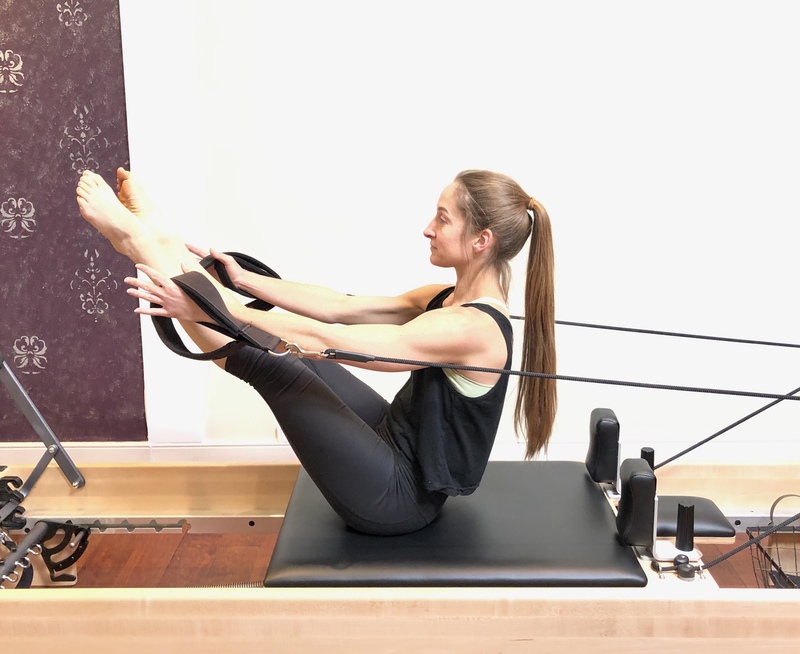 Pilates is a mind-body practice that focuses on combining specific movement exercises with the breath to increase balance, strength, and stability in the body. Yoga in fact was a catalyst for this movement discipline and yoga practitioners will notice some essential similarities in the founding pillars of each practice including: breath (pranayama), concentration (dharana), and centering (meditation). This is just one of the reasons we feel that yoga and pilates compliments one another. We offer both mat and equipment based classes so that you can find the best fit for your needs. Mat classes are group offerings that focus on the primary floor exercises and the use of basic props to enhance your practice. Similar to Equipment Sessions, our mat classes emphasize core strength and body alignment, as well as, back strength, pelvic stability and hip mobility. Our Equipment Based Private 1-on-1 and Duet Sessions allow students the opportunity for both individualized attention and the full ability for customization based on their needs. While mat classes offer a great foundation, equipment sessions allow students to enhance their practice by further progressing and utilizing resistance to increase strength and mobility. Further the apparatus equipment allows for proper alignment at all times by offering perfect adjustments to fit the practitioner’s needs and body.